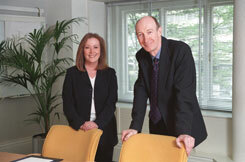 Alexor’s founding directors are Keith Simpson and Janet Salvoni. They first worked together within what is now called Weber Shandwick. Both have extensive experience of developing and implementing hard-hitting, cost effective PR programmes for clients in many different industries and sectors. Since 2000, Keith and Janet broadened their experience to cover online marketing, website communications, audience research and customer experience evaluation using advanced techniques such as eye tracking, analytics and online data capture. Increasingly, their skills have been recognised outside their heartland of the private sector within the public sector. Here they have implemented research and review projects for many government departments, numerous agencies and NDPBs, including the COI, Business Link, Directgov, DCSF, HMRC, Home Office, Dept. of Communities and Local Government, Learning and Skills Council, and the NHS. Keith is responsible for the day to day development of Alexor and client servicing. Janet operates in a non-executive director capacity but often leads customer insight projects. Keith Simpson was Managing Director of Shandwick PR (part of the world’s largest independent PR group) where he directed initiatives for Asda, Unilever and Nestle. Keith then took over Nexus PR which he turned into an award-winning PR consultancy working for clients such as United Biscuits, RHM and Tropicana before selling his interest to concentrate on helping clients get a better return from their investment in offline and online marketing. Since then his clients have included Land Rover, Diageo, the Nationwide Building Society, WHSmith, Esure, HMRC, the Home Office and Parliament UK . He began his career in the City working on financial and corporate PR programmes for Tate and Lyle, Redland and Bowthorpe Holdings. He returned to the consultancy world after taking his experience in-house with the Vickers Group, ultimately controlling a major PR and publicity budget for its UK office equipment subsidiary. Janet Salvoni was Managing Director, Marketing at the leading international communications consultancy, Burson-Marstellar, which she joined after a 15-year career with the Shandwick group of companies as a senior director of Paragon Golin/Harris. She also sat on a steering committee for the Institute of Grocery Distribution – the UK’s foremost non-commercial body in this area. She has 20 years of experience of developing and implementing high profile marketing support campaigns for a wide range of brands on behalf of major manufacturers such as Danone Europe, Bass Brewers, Mars Confectionery, Britvic, Van Den Bergh Foods, United Biscuits and Lyons Tetley. She also has significant experience of the retail market having worked extensively with Woolworths, Whitbred Inns, the Shell Select forecourt convenience chain and Somerfield Stores. Janet has had extensive involvement with generic marketing bodies helping them deliver value for money publicity programmes. This includes ‘Food for the Heart’ month (Health Education Authority), The Flour Advisory Bureau, the Florida Department of Citrus and the Sea Fish Industry Authority. Former consultant to the Office of the Deputy Prime Minister, the Home Office and HMRC.